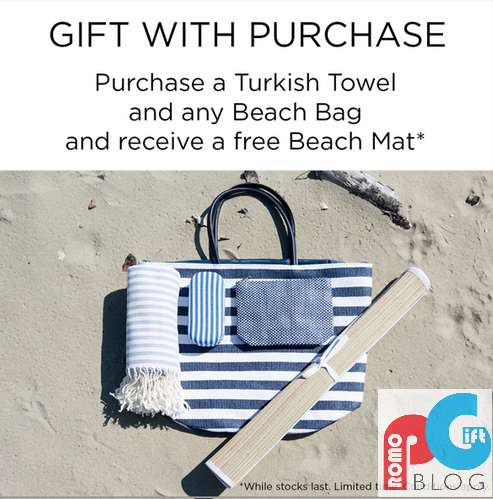 Recurrent, a gifts and accessories company are now offering a a free beach mat with purchase of their Turkish towel or beach bag. Gift with purchase is a fantastic way to gain new customers and increase awareness. Brand Activation - This benefit is the most obvious for good reason, it makes your company more prominent in the marketplace, effectively bringing brand awareness. Everyone loves a gift! Positive Word of Mouth Marketing - Following on from the previous benefit when consumers are delighted, they spread the word to friends, family and associates about the great offering from the company. Promotional products such as this are great at producing positive word of mouth. Retention - Perhaps less obvious, but still important. Consumers are more likely to return their custom when they are happy with purchase. Particularly in this case where Recurrent are offering gift that has high standard of quality. As a result if done effectively a gift with purchase strategy can be a very powerful tool in improving sale and profit. Interested in learning more? 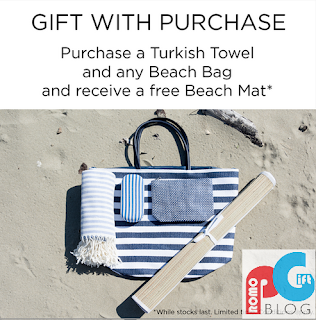 Visit the promo gist's blog, where you can find tailored examples focusing on promotional gifts.